recognises your riding experience and rewards you, the rider. annual leave days† and fire and theft cover at all other times. *HARLEY | TYRE AND RIM™ - protects your tyres and wheel rims from damage caused by punctures or kerbside impact. 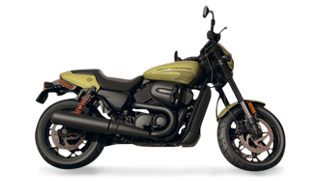 *HARLEY | PURCHASE PRICE PROTECTION™ - to cover the difference between your agreed value and the amount you originally paid for your Harley® motorcycle. *HARLEY | LOAN PROTECTION™ - so you don't have to worry about the financial burden of your bike loan repayments if you get sick, hurt or worse. *HARLEY | PROTECTION PLUS™ - to cover you, the rider, anytime and anywhere. Drop in-store, call us on (02) 8459 6000, or email finance@nbhd.com.au for more information.